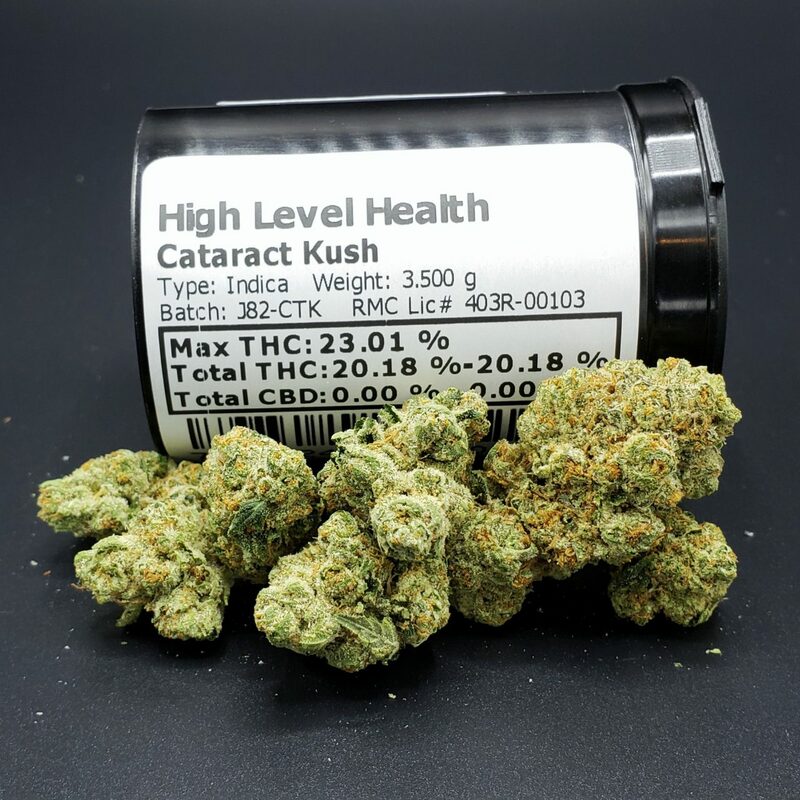 Description: Cataract Kush is a heavy indica strain that starts in the back of the eyes for a clear and strong high. It is enjoyed as an evening smoke for sleeping and pain relief. A heavy hitter, not for the light smoker.